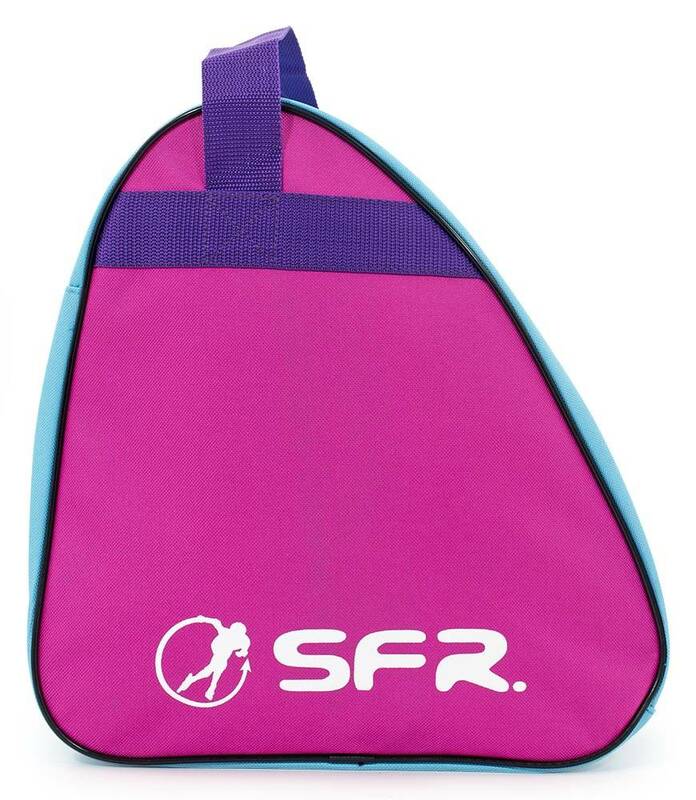 This skate bag from SFR is constructed from Heavy Duty 600D PVC water resistant material with embroidered logos. Can store quad skates up to EU size 40 (UK 4) - not large enough for inline skates. 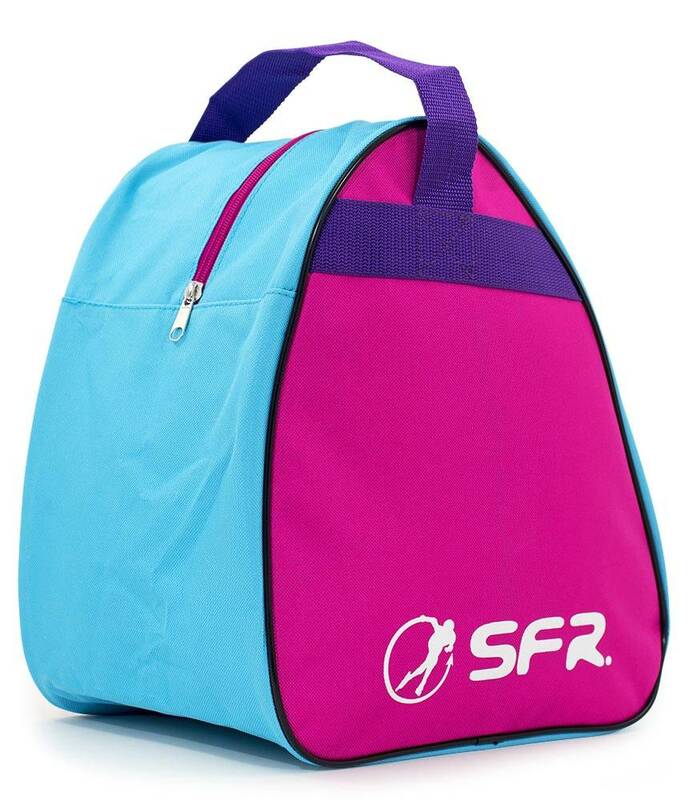 The features of the skate bag include internal base board for structural strength and a carry strap. 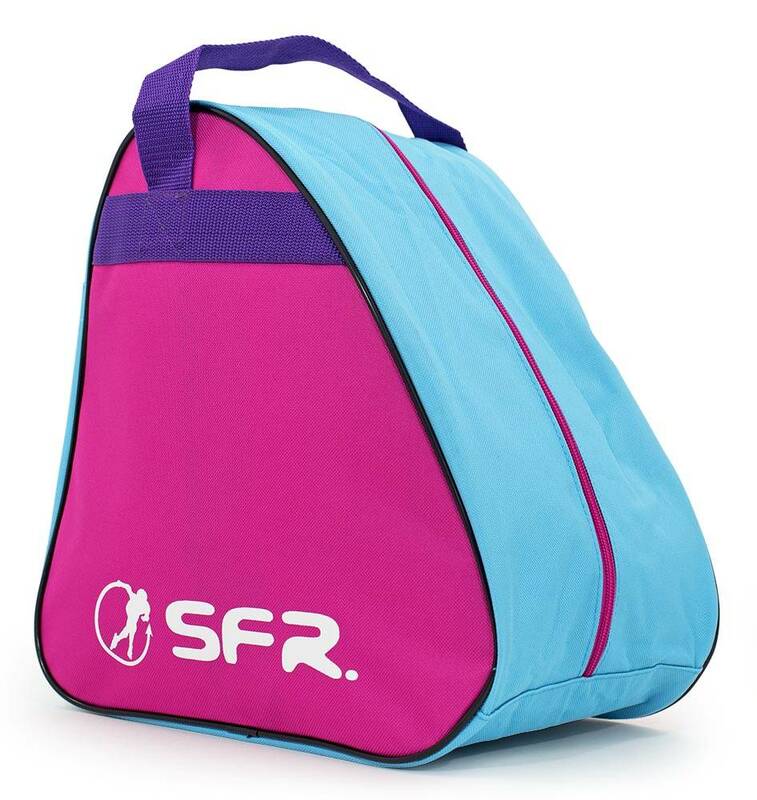 Excellent bag into which the skates and pads fit to keep them together and tidy. A cracking little skate bag. My 18 month old baby girl loves it. I put in her toddler skates, fleece-lined waterproof trousers, spare tights and body suit (just in case), a hat and gloves and there was still loads of room even though it's a much smaller bag than either her dad's or mine. She can even pick it up herself so that makes it extra interesting. I look forward to sewing her badges on when she starts lessons in 6 months. It doesn't have the extra pockets that an adult bag would have but to be fair, she doesn't exactly need somewhere to keep her lippy, mobile and purse! Very happy with the product and useful when the little one wants to skate to the park but not skate home. The bag was a quality bag.